Game Theory It wasn’t that long ago that Microsoft dominated the world of home console indie games, with the Xbox 360’s Summer of Arcade promotion bringing us the likes of Shadow Complex and Limbo, year-in, year-out. Now though, the winds of change have led to the PS4 stealing a march on the indie scene, with Sony’s Spring Fever roster of games leading the charge. Do they cut the mustard? Read on to find out. If I've learned anything from a life spent playing games, it's that theoretical scientists should have no complaints if the success of their work catapults them into some kind of hellish dimension. It happened to Gordon Freeman, it happened to the Mars-based lab geeks of Doom and now it's happened to Axiom Verge’s own lab coat wearer, Trace. So begins a sprawling 2D adventure in the Metroidvania-style, with the emphasis firmly on the former half of the equation. 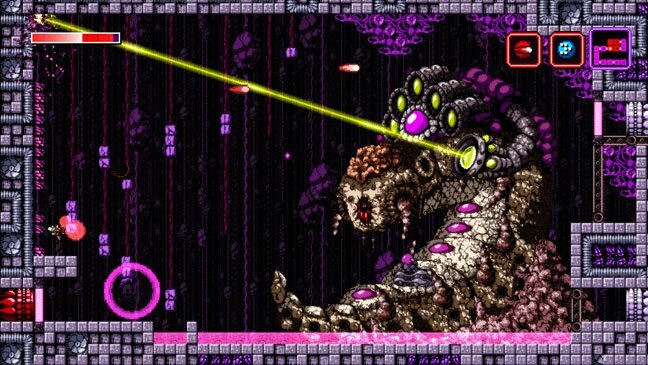 From the gradual unlocking of weapons and world-expanding tools, to some truly memorable pattern-based boss fights, Axiom Verge oozes Metroid. In fairness to Tom Happ, Axiom Verge’s sole programmer, there are points where his creation actually manages to further the concept. The introduction of a weapon capable of decrypting secret ledges and scrambling enemies is a fun addition, as is the sheer density of enemies – which often goes far beyond the concentration of hostiles in Nintendo's classic. Where the game falls down slightly is in its lack of direction. In Metroid, Samus tends to know where she has to go, even if the player has to move mountains to get her there. In Axiom, there's usually little clue as to where to turn and, in a game this big, backtracking through screen after screen can be tiresome. It's no game-breaker, but will be enough to put some players off. 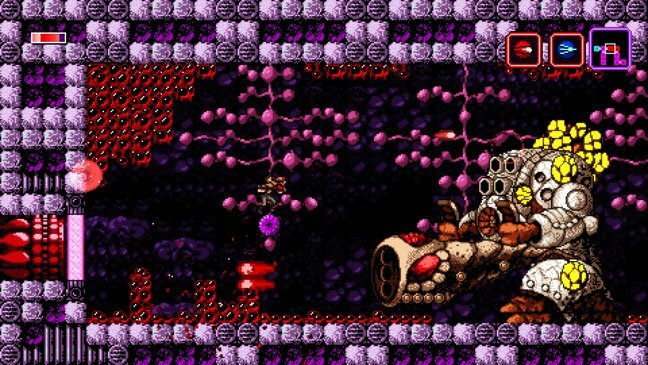 Axiom Verge is about as close as you can get to a new Metroid without smelling Samus' plasma cannon. It just goes to show that not quite everything that walks like duck and quacks like a duck is in fact of the anatinae persuasion. 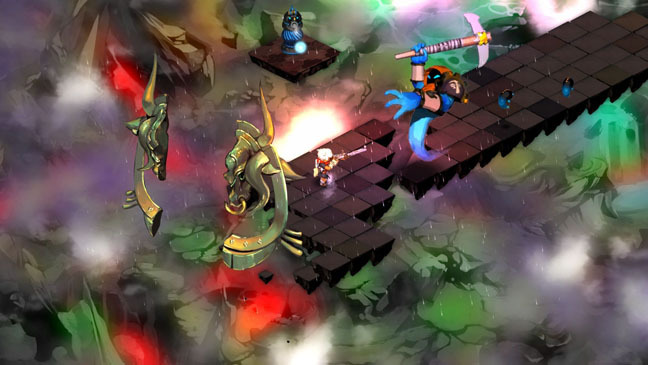 Supergiant Games' Bastion is a triumph of style over substance. First released in 2011 on Xbox 360, it quite literally tells the tale of The Kid – the protagonist’s every move being narrated by an omnipotent storyteller. What follows is a memorable, if somewhat shallow, isometric RPG, very much in the Diablo-style. The Kid’s quest is to piece back together a world broken into pieces by the Calamity – a task inevitably accomplished by toppling monsters one-by-one. Where Bastion excels is in its design. The bright, bold cartoon-like visuals breathe life into The Kid's world, while the constant percussion of the narrator's voice makes his every action feel like it's imbued with destiny-fulfilling importance. Enemies and weapons are varied too and watching the land piece itself back together has an air of satisfaction about it that will keep you coming back. 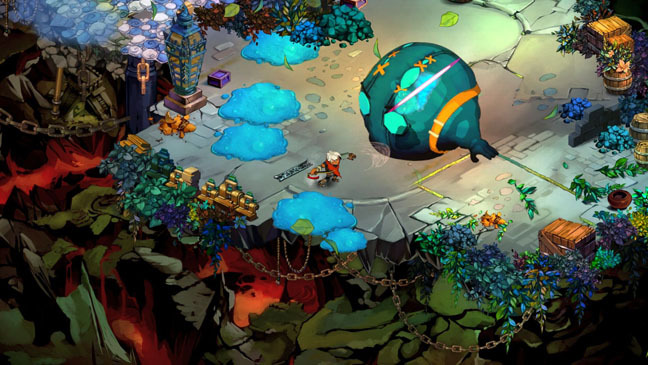 If you didn't play Bastion the first time around – and are on the lookout for a by-the-numbers RPG with a bit of class – then look no further. Bastion’s dozen or so hours (double that if you count the "New Game+" option) should be just the tonic. AI crisis: Sony reports shortage of cute robot puppies! Analysis It's 2019. Should billion-dollar corps do better than offer swag for vulns?